How could it be possible that someone would put together all my favorite things in one salad dressing? 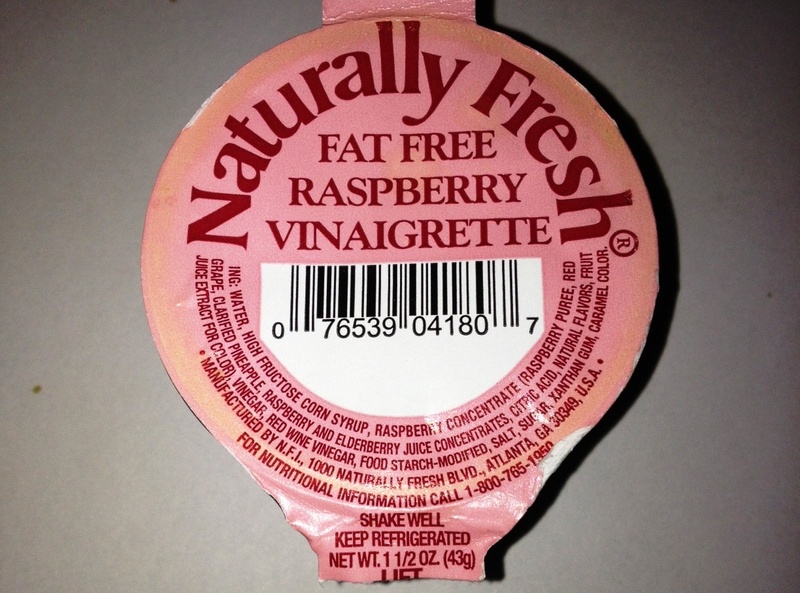 I love vinaigrette dressing, add my favorite berry – raspberry – and then make it FAT-FREE!!! This is another dream come true. This little packet came from a restaurant so I don’t know if the brand is available in stores – I’ll be checking tomorrow for sure. What are your favorites? 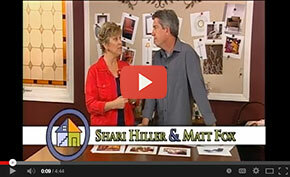 Shari, we like Ken’s Lite Sweet Vadalia Onion Salad Dressing. Whole Foods, here I come! Hi everyone. This is my favorite vinaigrette too. 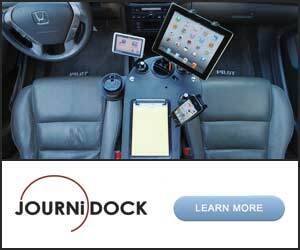 Yvonne, where are you buying yours? 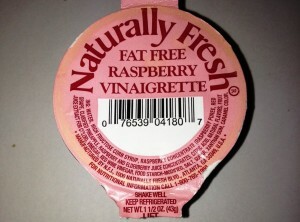 LOVE Raspberry Vinaigrette, but not a fan of fat free. Generally you are swapping a few grams of fat for a whole lot of sugar. A little fat in the diet is important and also makes you feel full longer. Carbs are the first thing to leave the stomach, leaving you hungrier sooner. Leslie, I didn’t know that there was a swap of fat for sugar. I’m definitely not a fan of that! But darn those carbs….just can’t get enough of ‘em…and now I know why!! I have glommed onto a ginger dressing that tastes exactly like the one they serve in Japanese restaurants. OMG, I do not share! Jenny, you are leaving us all drooling…. I make a homemade Ranch dressing that we all like and also a lemony vinegrette.